A few years ago, I was given the opportunity to lead a Bible Study. 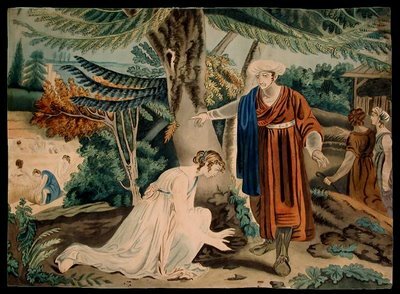 The very first book we studied through was the book of Ruth. Verse by verse. Chapter by chapter. Given our group consisted of young adults, most of them were single, it was easy to quickly identify with, or want to be identified with, each of the key figures in this little story in the Bible. Feeling like a stranger in a strange land. The yearning to be married. The wanting to be like a worthy and godly man. Identifying some of the bitterness in our own lives when we think God is not coming through. Those elements and so many more is what drew in the reader. But what surprised me is just how much of it was an obvious foreshadow to Christ. Naomi, the Israelite, with the promises of the Lord but had to wait on the Lord. Ruth, the Gentile, who knew nothing of the Lord but was saved in the midst of her desperate time. Boaz, the Kinsmen Redeemer, who brought both Naomi and Ruth into family together, was the prelude to Christ, being our Kinsmen together, saving both Jew and Gentile alike. If that wasn’t obvious enough, just the fact that they had a child together and he ends up being the grandfather of David from whose bloodline Christ was born into. This is a story that one of the prime examples of Sola Fide. In other words, there is nothing for our old selves. I see that Paul goes so far as to call our past lives ‘self’ rather than ‘life’. Why? Because what we had before knowing Christ was no semblance of kind of life we know now. Sure, our lungs breathed air and our hearts pumped blood but is that life? Surely not. Doctrine of sola fide is easy. Genesis 15:1-6 because Paul in Romans 4:4-5 references it. That worked out rather easy. I am convinced that any topic or passage preached in the Bible can be have a passage in Genesis as a starting bullet point. 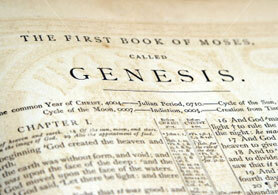 Hence, it what makes Genesis so weighty with truth and doctrine and preaching through Genesis would be no small task. Of course, this would be for naught except Christ has revealed how he complete the thoughts begun in Genesis. In and around April 2007, I was saved. In and around May 2007, it occurs to me that I should start reading the Bible. 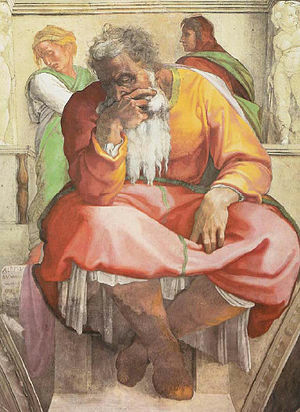 I prayed and I felt like I should start with Jeremiah. 3. Sometimes God’s directions are weird. Answer the question: Where is your trust? Jeremiah 16:1-4 The word of the LORD came to me: “You shall not take a wife, nor shall you have sons or daughters in this place. For thus says the LORD concerning the sons and daughters who are born in this place, and concerning the mothers who bore them and the fathers who fathered them in this land: They shall die of deadly diseases. They shall not be lamented, nor shall they be buried. They shall be as dung on the surface of the ground. They shall perish by the sword and by famine, and their dead bodies shall be food for the birds of the air and for the beasts of the earth. Jeremiah 23:1-4 “Woe to the shepherds who destroy and scatter the sheep of my pasture!” declares the LORD. Therefore thus says the LORD, the God of Israel, concerning the shepherds who care for my people: “You have scattered my flock and have driven them away, and you have not attended to them. Behold, I will attend to you for your evil deeds, declares the LORD. Then I will gather the remnant of my flock out of all the countries where I have driven them, and I will bring them back to their fold, and they shall be fruitful and multiply. I will set shepherds over them who will care for them, and they shall fear no more, nor be dismayed, neither shall any be missing, declares the LORD.